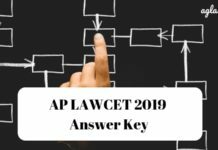 AP LAWCET 2019 Result: After the AP LAWCET 2019 entrance examination, candidates will be able to check the result. The exam conducting body will make sure that the evaluation process of papers takes place carefully. On the basis of their performance in the examination, candidates will get their overall result. 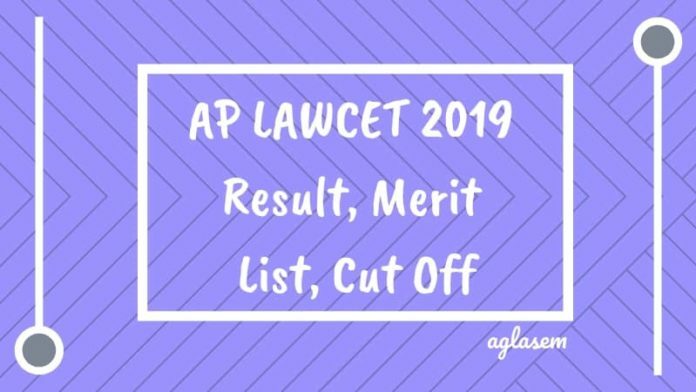 As per the official notification, AP LAWCET 2019 results, Merit List, Cut Off will be released by the Sri Krishnadevaraya University Ananthapuram, Hyderabad. 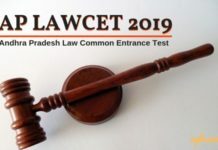 Candidates will get rank in AP LAWCET 2019 exam on basis of their performance in the entrance examination. All candidates who will appear for AP LAWCET 2019 entrance test will receive the rank on the basis of the marks obtained by them. Candidates are requested to note that AP LAWCET 2019 Result shall be valid only for admission in academic session 2019-2020. candidates can check the details of the result, merit list, cut off from the table below. AP LAWCET 2019 Result: The result of AP LAWCET 2019 will be available on the Official Website www.sche.ap.gov.in. Candidates who will appear in AP LAWCET 2019 exam will be able to check their result by following certain steps as mentioned below. Visit the official website .i.e. www.sche.ap.gov.ap/lawcet. Then click over the link of AP LAWCET 2019 result. Now, you will proceed to the next page. Now, enter the required credentials in the provided space. Now, your result will appear on the screen. It will comprise of total marks obtained and the status of your result. Candidates are advised to check the result carefully. 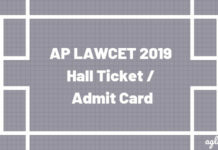 You can download or take a print out of the AP LAWCET 2019 result and keep the hard copy for future reference. Candidates will be evaluated on the basis of their overall performance in AP LAWCET 2019 exam and accordingly, they will get their result. The marks scored by the candidates will be considered for the further admission procedure. All those candidates who will appear for AP LAWCET 2019 entrance test will receive the rank on the basis of the marks obtained by them. The rank obtained is only valid for the 3 years/5-year law courses for the academic year 2019-20. Note: The SKU/APSCHE will not accept any requests for re-totaling or revaluation. If in case, two candidates get the same score then the tie-breaking process is implemented. In this, marks of part C of the exam is given priority (candidate with higher marks in part C gets better rank). Then marks in part B get priority. If the tie still persists then both candidates get the same rank, however, one who is older may get preference for admission. Admission to LLB (3 yrs) and LLB (5 yrs) program is on basis of merit obtained in AP LAWCET 2019. Candidates who will appear for the AP LAWCET 2019 entrance exam will receive the rank on the basis of overall marks obtained. Merit list will be prepared according to the marks obtained by the candidates. In order to avoid confusion regarding the qualified candidates, the concerned authority has set the minimum criteria for AP LAWCET 2019 exam. As per the criteria, the candidate’s name will appear on the merit list only if he/ she clear the minimum qualifying marks. All those who will be going to appear for AP LAWCET 2019 must score at least 35% qualifying marks. It means that out of total 120 marks it is compulsory to score minimum 42 marks to qualify the exam. However, there are no cut off marks for SC/ST candidates.